Car trouble is something that you just can’t avoid. It can happen to anyone without warning. Fortunately, at Towing Garland TX we can help you round the clock. All our services are available 24 hours a day, 7 days a week. We have been serving the residents in Garland and the surrounding areas for over 15 years. Enjoy peace of mind knowing that you will get immediate towing in Garland. At Murrays Towing, we have been known for providing the highest quality service possible. 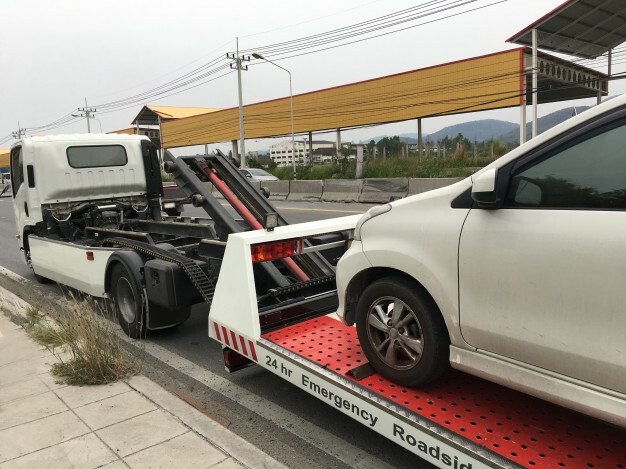 Whether you need local, long-distance or emergency towing, you can put your trust in us to deliver your car to another destination. We understand that when vehicle emergencies arise, you will need immediate and quick assistance. Our towing drivers will respond to your needs. They will help you back on the road as fast as possible. Call us at Murrays Towing now! We offer round the clock 24/7 towing & vehicle recovery service around Garland TX. For your entire towing needs, from emergency to long-distance or local towing, we got you covered. No matter what time you may be needing our help we will be on our way to help you in no less than 30 minutes. Do not wait any longer. Contact Murrays Towing right now for the best towing assistance in Garland! With almost a decade of excellence in all aspects of towing services, Murrays Towing has turned out to be a top-notch towing company. Our fleet of tow trucks is prepared with the equipment and knowledge to handle any towing issue. What makes us great is that we will never leave you stranded. Our towing services are designed for heavy duty, medium duty, and light duty vehicles. That is why we suggest you call us right away for towing assistance. If you are looking for an affordable and fast towing in Garland service, Murrays Towing is here for you. Our certified and skilled drivers will make it sure that you receive fast and affordable service. The moment you need a tow in Garland, look no further than Murrays Towing. You can contact us whatever and whenever you want. We are proud to be the recommended fast towing service provider in Murrays Towing. You’ve got an issue. And, we do it all for you. We at Murray’s Towing will assess the situation and will inform you of what needs to be done. Staying updated with training techniques and modern equipment, Murrays Towing still work together to provide affordable towing service. We stay committed to excellent towing service at a reasonable price. Whether you have suffered a breakdown or have been in an accident, we want to help you at such a stressful time. You are assured that our friendly, fast, and efficient towing drivers will take care of your towing needs. Our team at Murrays Towing is always ready to help you during car emergencies and accidents. That is why we make it easy for you to call us at any time you want. There is no reason to hesitate to ask help whenever you need us for a towing in Garland. What else are you waiting for? Count on a reliable wrecker team to help you out! Get 15% off on any towing services and 5$ off on any roadside assistance service. We value our customers, that’s why we want to give you this special discount in order for you to use it and to help you more on all your towing needs. Only here in towing Garland TX!